Discover the strengths and weaknesses of your employees, enhance their team performance, and build camaraderie with the help of Loveland Escape Rooms Clueology. Our interactive, interesting games have different themes that you can choose from. All of them have puzzles and riddles that your employees need to solve to successfully escape the room. Through these games, you would find out how your workers interact with each other, how well they resolve conflicts, as well as how quick and creative they can be when it comes to problem-solving. In addition, your employees would learn more about their coworkers. They would discover who among them is a natural leader—the one who would take charge and work well with the rest of the team. They would also be able to identify who among their peers can efficiently solve problems even under time pressure. Using our escape rooms for team building is a fun and effective way to boost the morale of your employees and to help them become closer to each other. If your workers are in a mutualistic symbiotic relationship, they will become happier and more productive. Please take note that our room’s capacity is 36 players per 75 minute cycle. Time is given to reflect on your adventure. In case you want to book us for your large groups, coordinate with our team. We can help you create a custom schedule that fits your group and circumstances. Our management is willing to accommodate any special needs you might have. 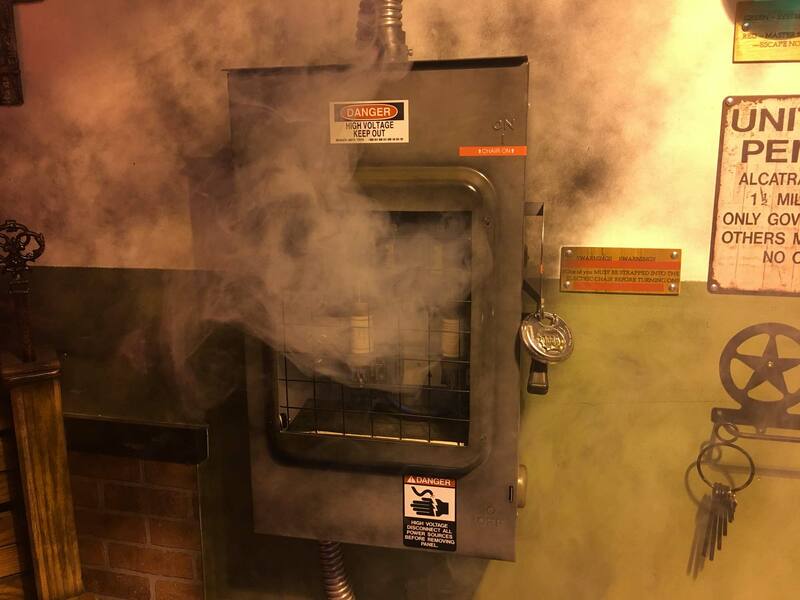 Based in Loveland, CO, our company uses cutting-edge technology to create one-of-a-kind escape rooms. We are skilled in designing engaging, original games for all groups and ages. Aside from providing games that you can not find elsewhere, we take pride in our unbeatable customer service. Our team works hard to meet the specific needs of our clients. This way, we can give them an unforgettable escape room experience—one that they would talk about for weeks to come! 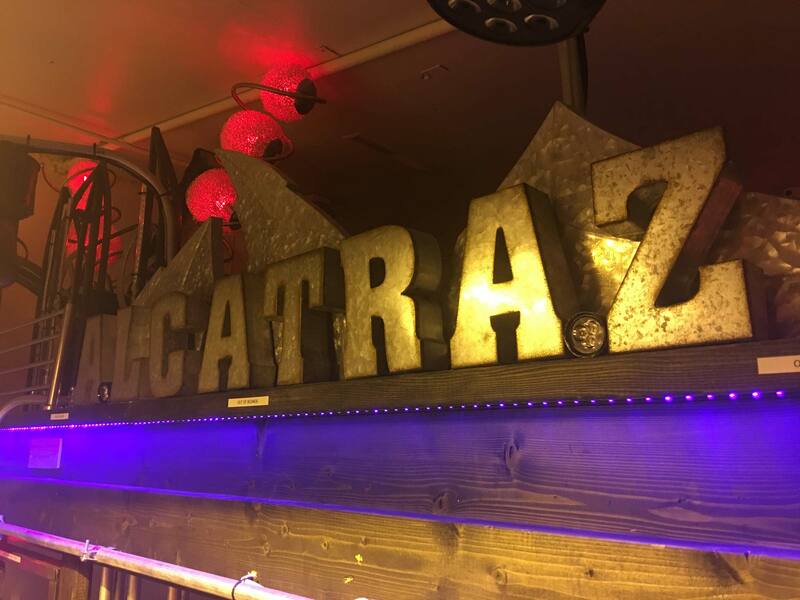 “Went one night with a big group to do ‘The Fallout Room’ and loved it so much, went back the next day to do the ‘Escape From Alcatraz’ room! The rooms are well designed and thoughtful; the atmosphere was detailed, immersive, and fun. The puzzles are what I consider the right level of challenge for people of all kinds. The Fallout Room is great for large groups (we were 11 people). It offers a wide range of puzzles. Every person in my group felt essential to solving the room. Also, the robot is pretty impressive! The Alcatraz room is perfect for a smaller group (we were three people), and there are a twist and an added challenge that make the room a lot of fun; we couldn’t stop talking about it after we left. The staff is wonderful! They seem to have a strong passion for the rooms, the experience, and puzzles, and they truly care about creating something different and special. “10/10 – GREAT ALL AROUND! 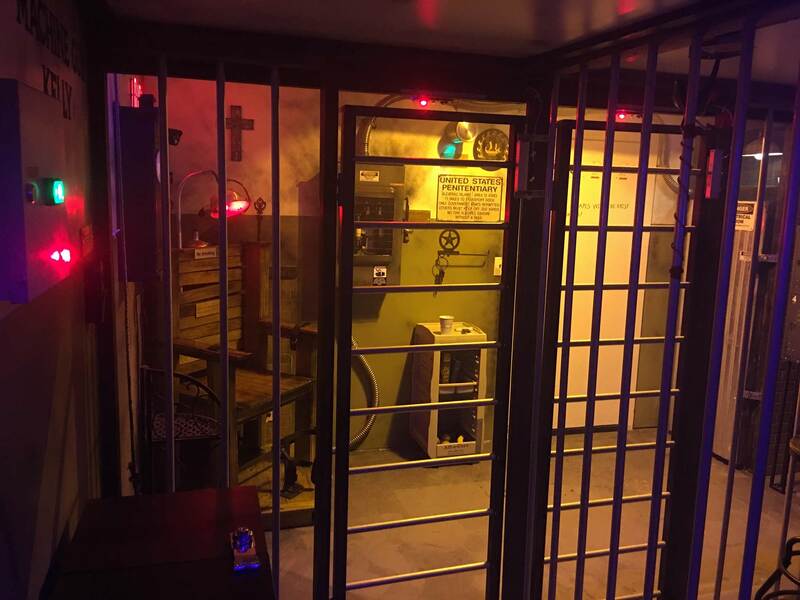 We have only been to a handful of escape rooms thus far, but when we came to visit their Fallout Room at Clueology, I immediately knew I needed to visit them again to complete their other room. The Fallout Room is very well designed, and the steps along the way are so fitting to the theme they have created; it really puts you in the scenario as if it is really something you had actually stumbled upon. We did this room with four of us friends, and it was really great. I’m a little surprised we finished in time with a few minutes to spare. If it wouldn’t be easy the second time, I would absolutely do that room again! The PDP (Pandemic Device Project) is equally well done, a little smaller enclosure yet we barely edged up—completing this room with eight people for a team-building event. Definitely a different theme, and the steps along the way are very appropriate in getting you into the scenario of what is happening around you! “My boys and I had a BLAST in the Fallout Room today! Amazing set, tricky puzzles, fun staff! We were so impressed and will definitely be back to try our skills at their other rooms! An escape room is a wonderful team-building idea and activity. It is also one of the most cost-effective, educational, and enjoyable games that your employees can participate in. When your workers enter one of the escape rooms, they will have to show their determination and problem-solving skills to escape! They will probably gain more information about each other in playing this game for an hour than in mingling in the office for years. Let us help you create unity in your workplace! Book one of our escape rooms today, and allow your employees to improve their relationships through gaming. For special arrangements, discount pricing, and event booking, you may call us at (970) 776-0356.